In this study, uranium concentrations (ppm) and the natural activity ratios (235U/238U) in 6 representative samples of uranium ore samples were analyzed. The samples were collected from Gattar II ore site, which is located at the Red Sea northeastern desert of Egypt. The samples were measured using HPGe gamma ray detector (non-destructive technique) based on the measurement of the emitted gamma rays of uranium by using the photo peaks 163.33 keV for 235U to avoid the overlapping with 186 keV of 226Ra, and the 1001.03 keV photo peak of 234mPa daughter for 238U concentration respectively. The uranium concentrations of the same analyzed samples were determined using ICP-MS (destructive technique) for comparison. Sharp correlation (R2 =0.9881) was found between uranium concentration measured by non-destructive gamma ray spectrometry and that measured by destructive ICP-MS for the same analyzed samples. 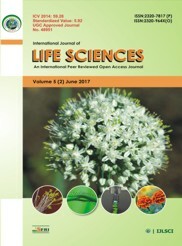 Nassef MH and Khater AM (2016) Analysis of Uranium Concentration, and 235U/238U Activity Ratio in Low Grade uranium Ore material by Inductively Coupled Plasma Mass Spectrometry (ICP-MS) and Gamma Ray Spectrometry Technique, International J. of Life Sciences, 4 (4): 461-466. The authors would like to thank Prof. Dr Laila Attia Guirguis , and Adham Karam Mansour from Nuclear Material Authority-Egypt, for their cooperation and sample collection. Also thanks to prof. Dr Gad El hafnawi from Tanta University for his cooperation. Abdel Warith A, Michalik M, Ali IBH(2010) Luorine Enriched Granites: Chemical Characterization and Relation to Uranium Mineralization. Journal of Applied Sciences Research, 6(4):299-323. Anilkumar S, Deepa AK, Narayani K, Rekha AK, Achuthan PV, Krishnamachari G, Sharma DN (2007)Estimation of 235U concentration in some depleted uranium samples by high resolution gamma-ray spectrometry using 185 keV and 1001 keV gamma-energies of 235U and 234mPa. Journal of Radioanalytical and Nuclear Chemistry,274(1)161-166. BEIR IV(1988) Health risks of radon and other internally deposited alpha emitters. Hand Book, Committee on the Biological Effects of Ionizing Radiations, National Research Council. Washington, DC: National Academy Press Washington, D.C., (1988). Brinck JW(1974) The geological distribution of uranium as a primary criterion for formation of ore deposits. In: formation of Uranium Ore Deposits (Proc. Symo. On the formation of uranium ore deposits, Athens, 6-10, International Atomic Energy Agency, Vienna. Chaudry MA, Donze M, Tabrez AR, Inam A(2002) Geochemical soil survey for the exploration of uranium ore deposits, NE Vogelkop, Irian Jaya , Indonesia. Pakistan journal of applied sciences, 2 (10):948-954. CSQG, (Canadian Soil Quality Guidelines) for Uranium: Environmental and Human Health. Scientific Supporting Document. PN 1371. ISBN 978-1-896997-64-3 PDF. Canadian Council of Ministers of the Environment, (2007). EL-Shershaby A (2002) Technical note Study of radioactivity levels in granite of Gable Gattar II in the north eastern desert of Egypt. Applied Radiation and Isotopes, 57:131–135. International Atomic Energy Authority, (IAEA)(1987) Preparation and certification of IAEA gamma spectrometry reference materials RGU-1, Report IAEA/RL/148, Vienna, Austria, (1987). IAEA, Uranium (2009) resources, production and demand. A Joint report by the OECD nuclear energy agency and the international atomic energy agency, OECD, 2010. Newman RT, Lindsay R, Maphoto KP, Mlwilo NA, Mohanty AK, Roux DG, de Meijer RJ, Hlatshwayo, IN (2008) Determination of soil, sand and ore primordial radionuclide concentrations by full-spectrum analysis of high-purity germanium detector spectra. Applied radiation and isotopes. Vol 66, p 855-859, (2008). OECD (2010) A joint report by the OECD Nuclear Energy Agency and the International Atomic Energy Agency. : Uranium 2009: Resources, Production and Demand. IAEA, (2010). Powell BA, Lara D Hughes, Aurelie M, Soreefan, Deborah Falta, Michael Wall, Timothy A DeVol(2007) Elevated concentrations of primordial radionuclides in sediments from the Reedy River and surrounding creeks in Simpsonville. South Carolina. Journal of Environmental Radioactivity, 94, p121-128. Robin KH(2008) Depleted uranium, natural uranium and other naturally occurring radioactive elements in Hawaiian environments. A report prepared for the National Defense Center for Environmental Excellence, Final Version. Roz ME(1994) Geology and Uranium Mineralization of Gebel Gattar area, northern eastern desert, Egypt. Msc. Fac. Sci., AL Azhar Uni., Cairo, Egypt. Sarangi AK (2000) Uranium and its measurement in ore by radiometric method. Journal Mines, Metals and Fuels. Annual Review; 1-8. Sarata kumar Sahoo., Masahiro hosoda, Sadatoshi kamagata, Atsuyuki sorimachi, Tetsuo ishikawa., Shinji tokonami., Shigeo uchida(2011) Thorium, Uranium and Rare Earth Elements Concentration in Weathered Japanese Soil Samples. Progress in Nuclear science and technology, 1:416-419. SENES Consultants Limited Ottawa, Ontario, Alberta Environment. Environmental Impacts of Different Uranium Mining Processes. Report, (2008). Sergani' FM, Khedr MA, Sayed A El Money, Harith MA(2003) Detection and Evaluation of Uranium in different Minerals by Gamma Spectrometry and Laser Induced Breakdown Spectroscopy. First Cairo Conference on Plasma Physics & Applications : CCPPA 2003:Cairo, 11-15. Susan C Johnson (2009) Uranium. Mineral Commodity Profile No. 6. New Nauveau Brunswick, Natural Resources Lands,Minerals and Petroleum. NBDNR. Steve Kidd (2011) Uranium supply for the nuclear future. Reprinted from Energy &Environment, vol 22 No. 1+2, Multi science publishing Co.LTD –UK. Yucel H, Cetiner MA, Demirel H(1998) Use of the 1001 keV peak of 234Pa daughter of 238U in measurement of uranium concentration by HPGe gamma-ray spectrometry. 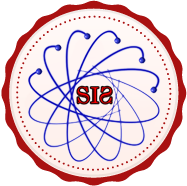 Nuclear instruments and methods in physics research A, 413,” 74-82. Yucel H, Karadeniz H, Cetiner MA, Demirel H, Turhan S(2003) Measurement of absolute intensity of 1001 keV gamma-ray of 234mPa. Journal of radioanalatyical and Nuclear Chemistry, 258(2)445-447.